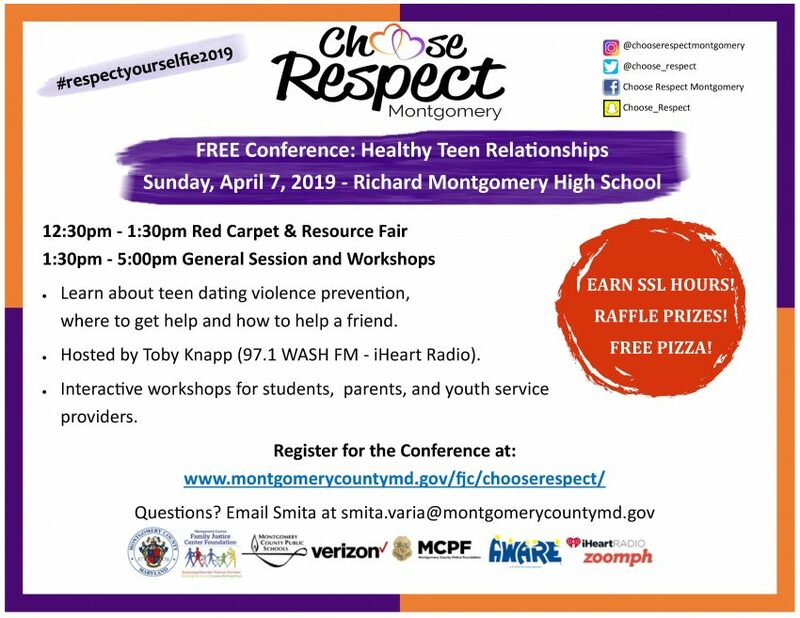 Hosted by the Domestic Violence Coordinating Council and Montgomery County Public Schools, the conference includes separate tracks for parents and teens. 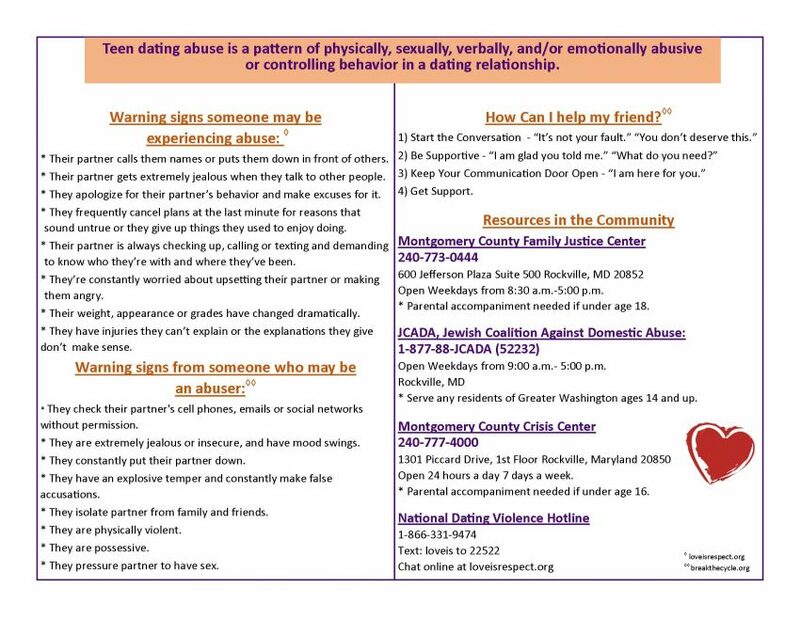 Teens will learn about healthy relationships, teen dating violence prevention, controlling behavior and how to help a friend. Parents will learn how to talk with their children about relationships. Everyone can attend a resource fair regarding ways to get help. Workshops will be offered in English and Spanish. For more information on the conference click here.